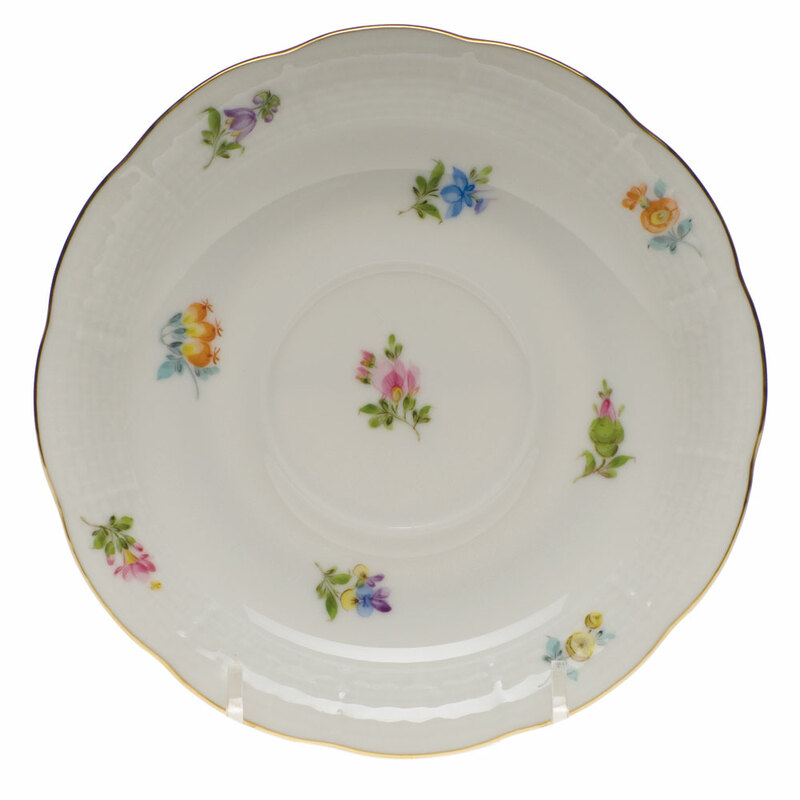 Click the button below to add the Herend Kimberley Tea Saucer 6 in MF----00734-1-00 to your wish list. This pattern is a collection of miniature flowers painted on a seemingly white forest field. The flowers, in full bloom, in their miniature form are simply beautiful to behold. Even though they seem to be scattered and seem to be basking in their own glory with own vibrant colors, collectively they form a cluster of flowers in a distant peaceful meadow.